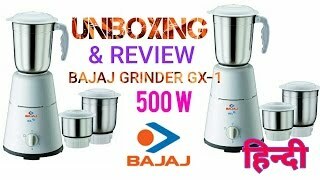 The lowest price of Bajaj GX1 500 W Mixer Grinder(White, 3 Jars) was obtained on April 19, 2019 4:38 am. Sleek design and multiple cups make this a great gift item, my wife loves it. 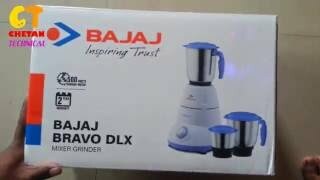 We already had a Bajaj food processor from our wedding but the lids had started to leak and the base takes up a lot of room on the kitchen counter. This little guy fits nicely on the counter and the multiple bowls means you don’t have to wash it as soon as you use it if you need to mix up something else. The sizes are practical and the design is elegant. Also the lower wattage (500W) means we can run this on our UPS if we need when the current cuts, but it is still strong enough to finish the job quickly and properly. Damaged cover I found after the returning date was over. And now even it smells when i use this grinder….. No service.. Complete waste of my money. i bought it for my maid as she didn’t know where to buy quality products and never heard any complaints from her, so i take it as very good product!